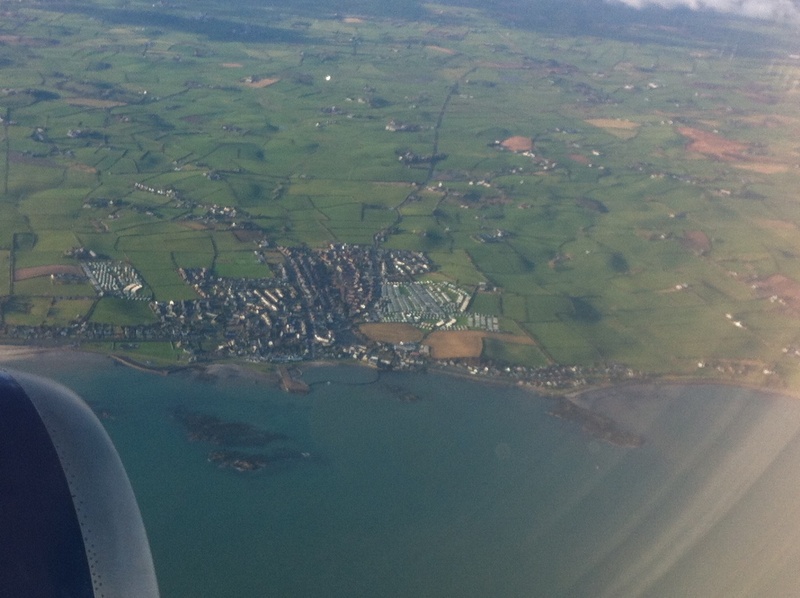 Today’s townland is Ballymacruise, pictured here from my British Airways flight from London back to Belfast. Ballymacruise is on the eastern edge of the Ards Peninsula. 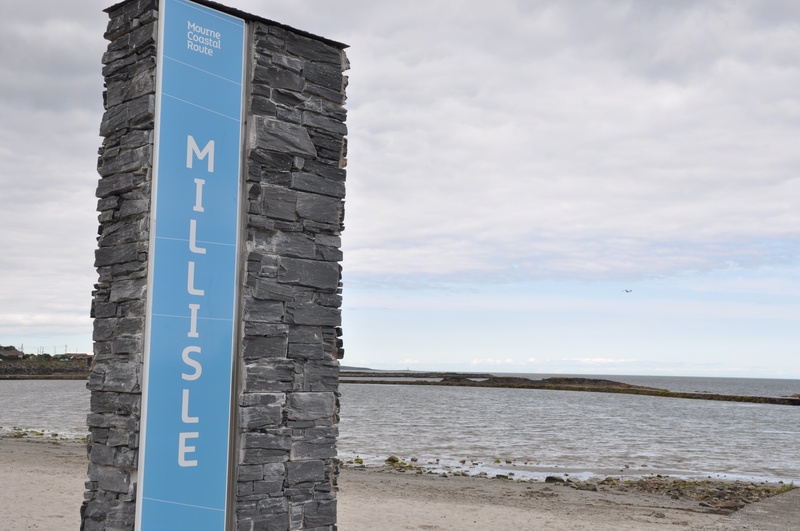 It covers most of the small seaside town of Millisle, as well as farmland to the southwest of the town. 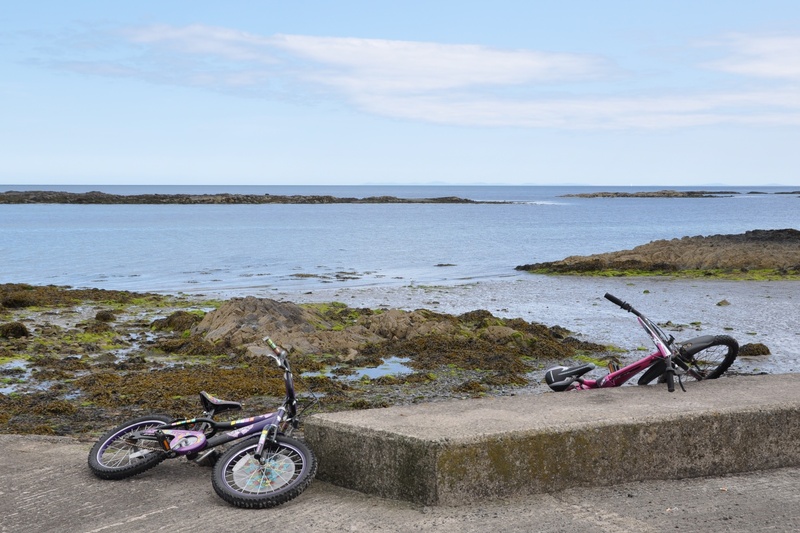 Millisle is a popular place for seaside holidays, with caravan parks and sheltered beaches…the kind of place where children play on bicycles, and dogs compete to have the waggiest tail. 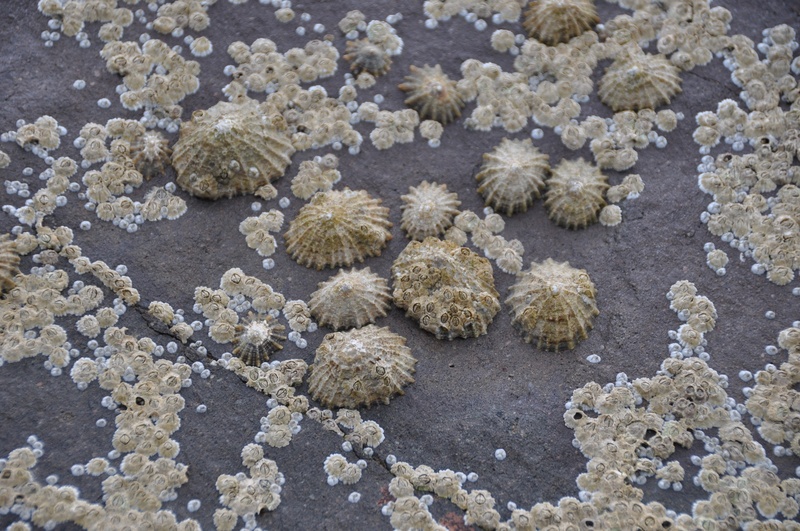 I was there when the tide was low enough to reveal limpets and barnacles on the rocks. 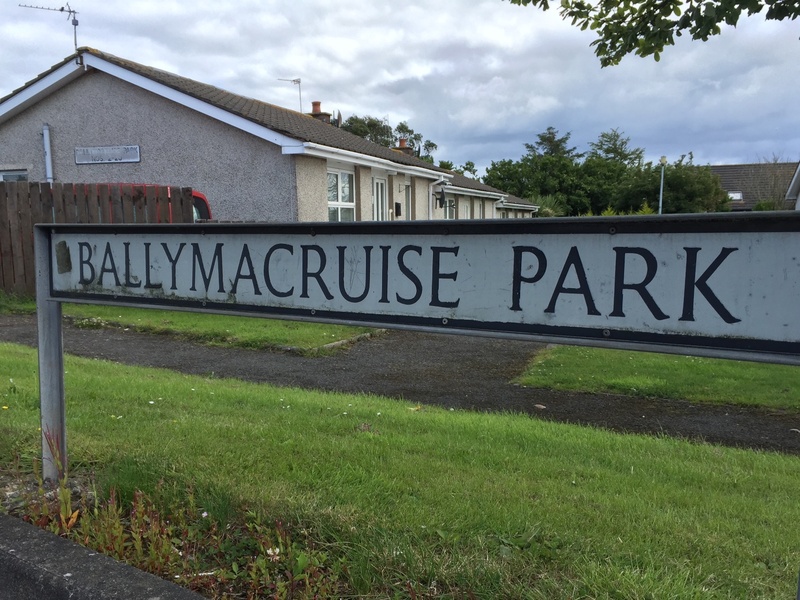 The name of the townland survives in a few Millisle streets, such as Ballymacruise Park. 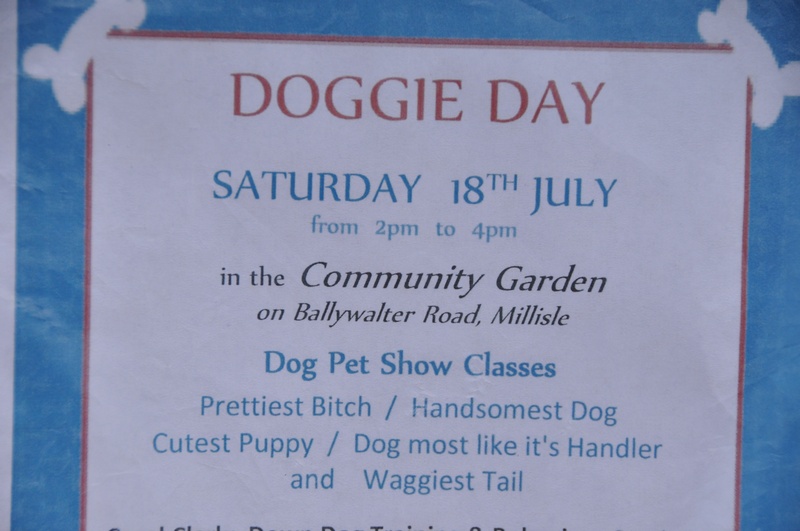 According to the PLACENAMESNI website, Ballymacruise comes from the Irish Baile Mhic Naosa, usually anglicized as “MacNeice’s townland.” How does “neice” become “cruise”? PLACENAMESNI explains that cn often gets the pronunciation [kr] in the Irish spoken in the northern half of Ireland. 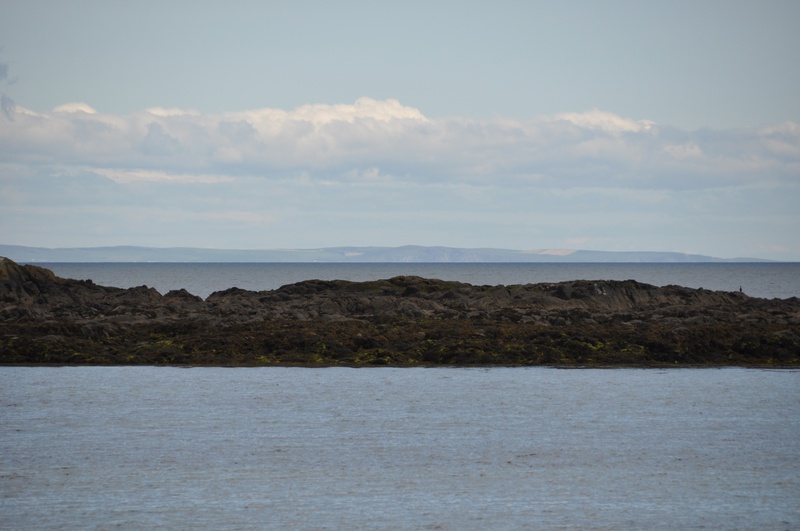 Looking out towards the Irish Sea, I could see the Isle of Man on the horizon. (The Isle of Man is beyond my remit, being outside Ulster and not having townlands, but parishes, districts and sheadings instead). Thanks for including Ballymacruise Townland. My great grandparents, James McMeekin and Elizabeth McWha McMeekin were married at Millisle Presbyterian in Jan 1880 and then migrated to Illinois, USA where my grandfather was born. Thanks for the pictures and descriptions!